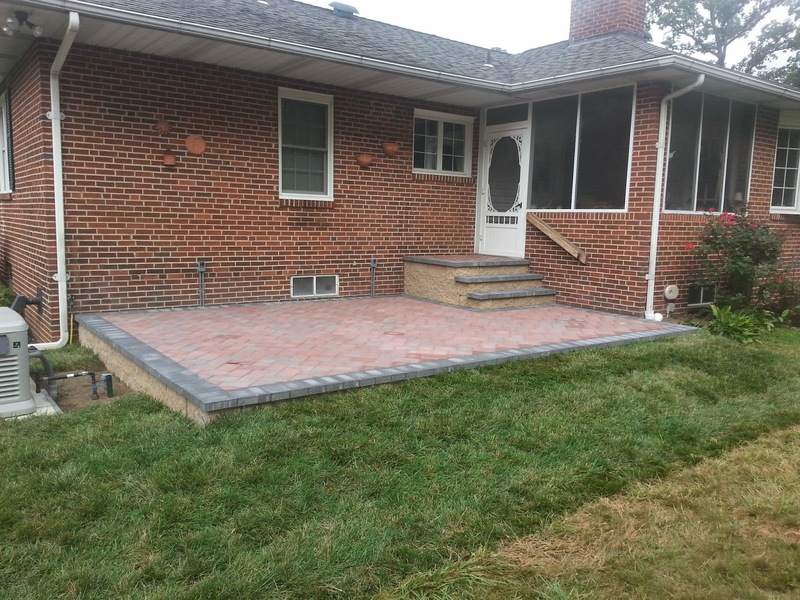 Installed tumbled finish Appian Random pavers in the Gettysburg grey color with a 4x8 traditional natural charcoal blend border. 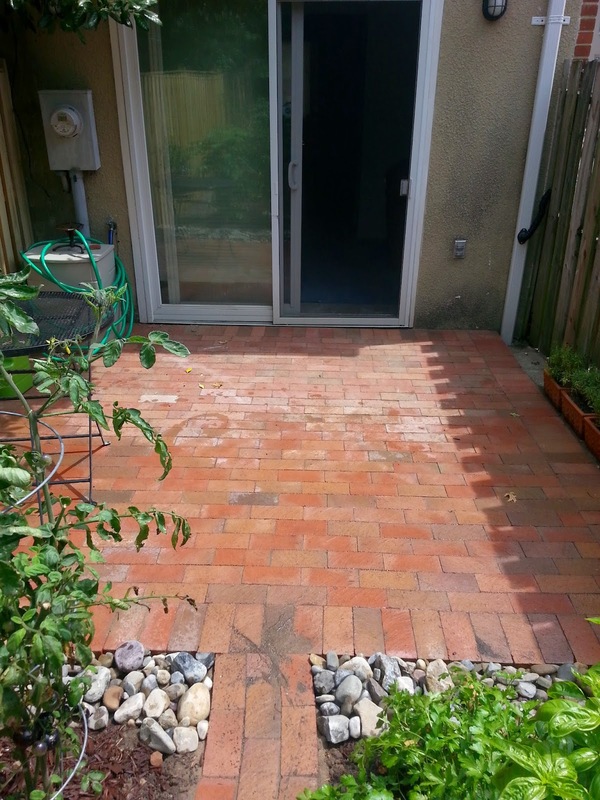 Under decks is a great spot for pavers. 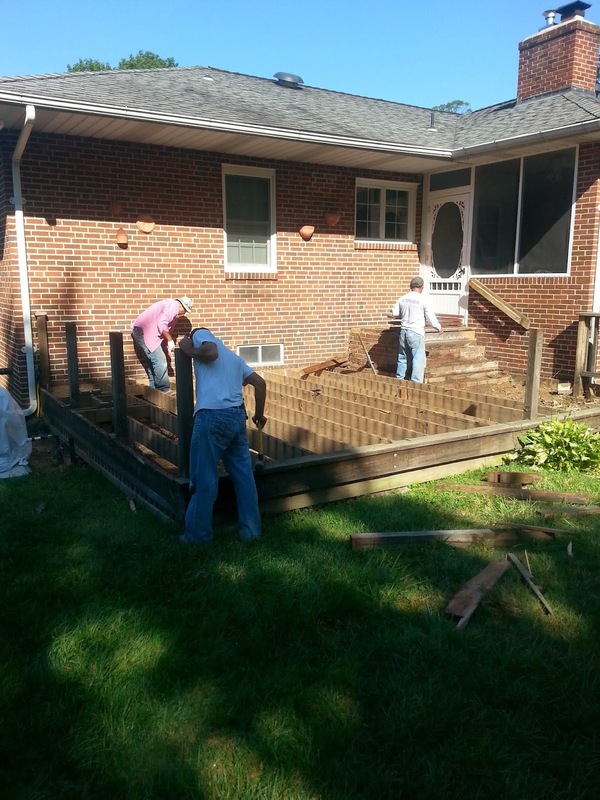 Removed existing deck. 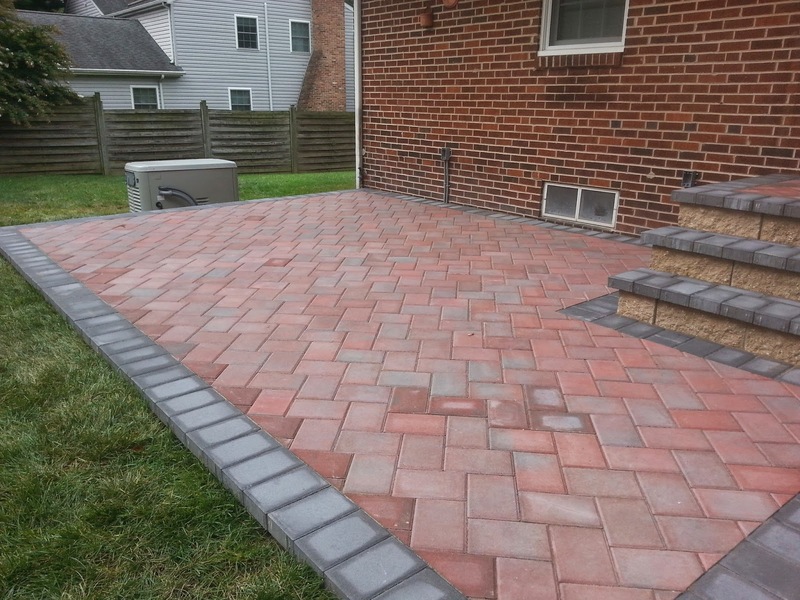 Installed Cambridge pavers Kings Court style 6x9's in Ruby Onyx color 45 degree herringbone with 6x9 Onyx color border. 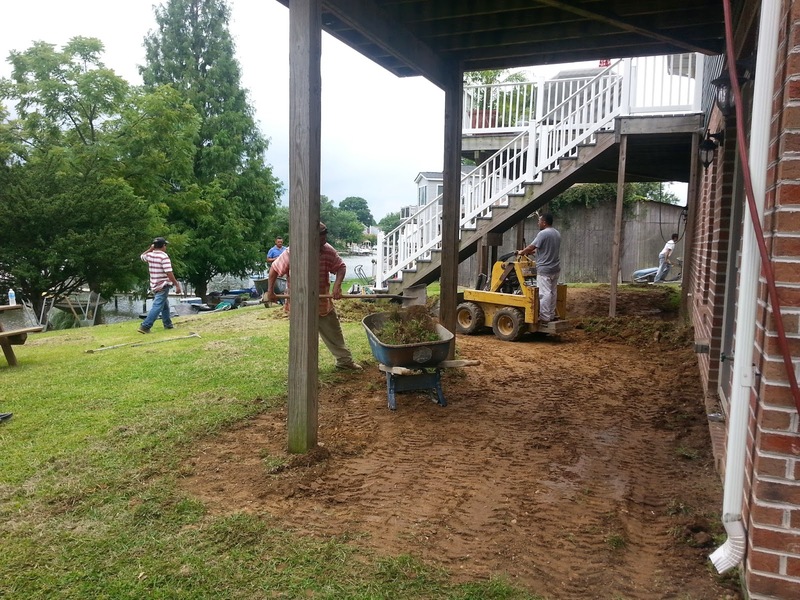 New sod installed for instant grass. 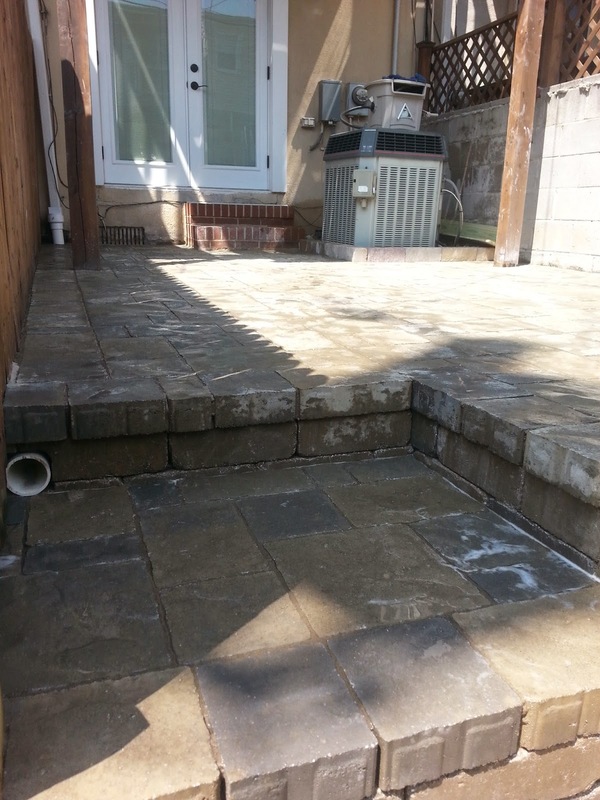 Keystone style steps. 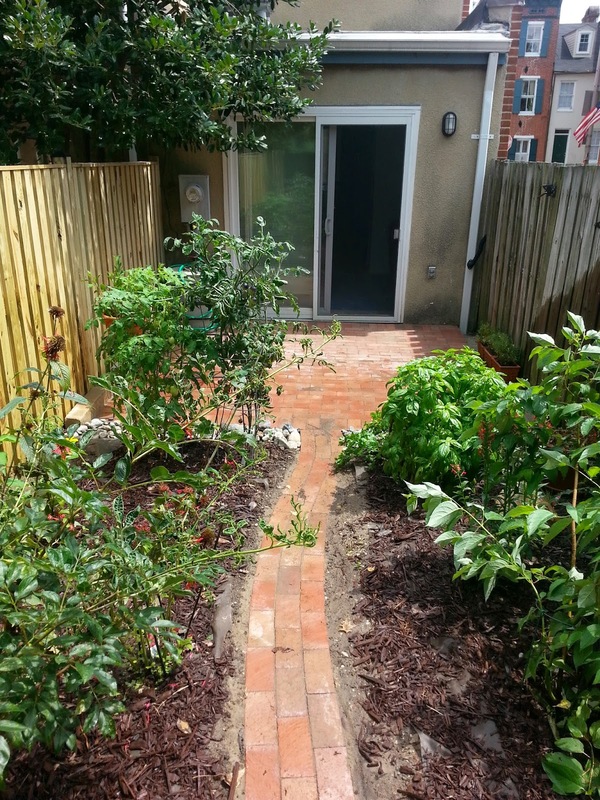 4x8 brick for a patio and pathway thru a garden. 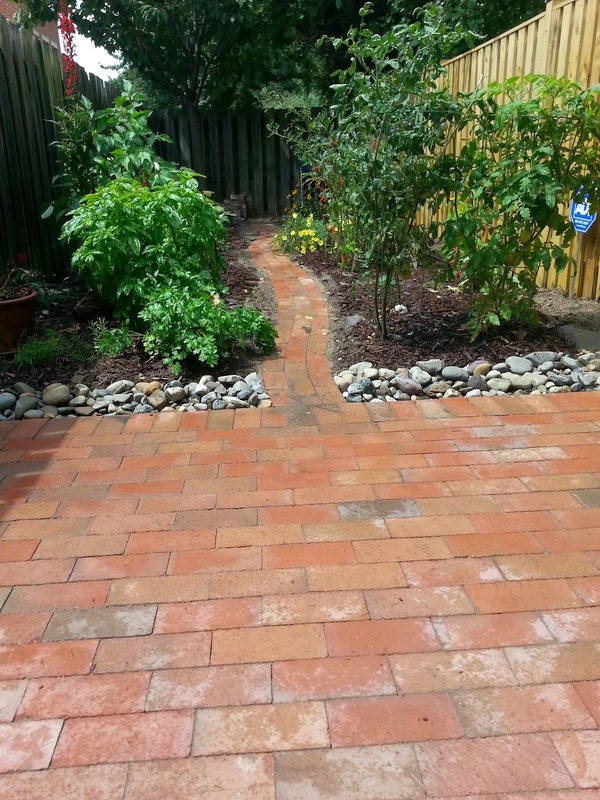 We used decorative river jacks gravel for drainage here also. 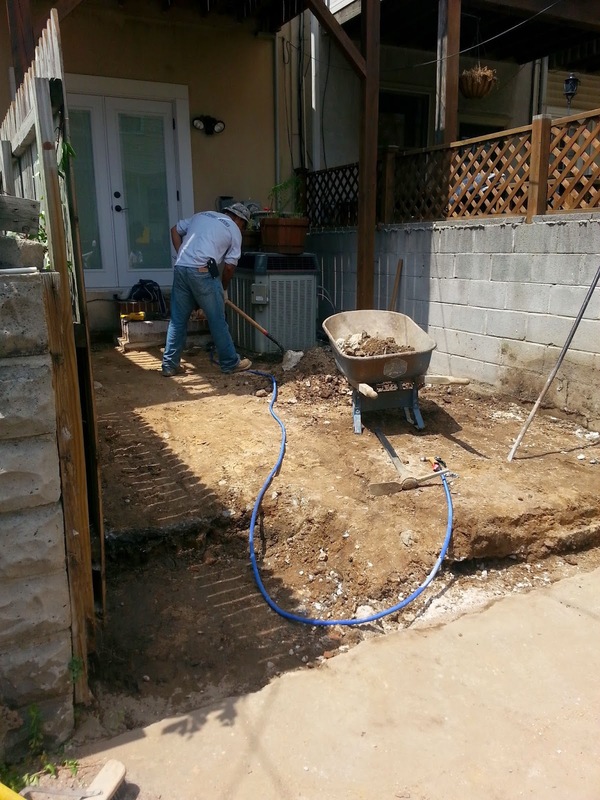 Going to be beautiful when garden/landscape fills in around pathway. 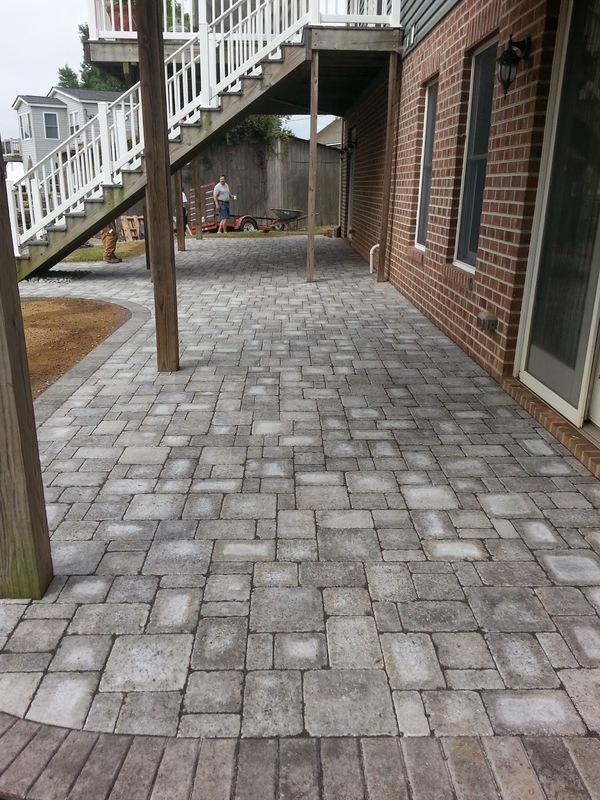 We are a Patio Builder in Baltimore City. New job in Canton on South Glover St. Removed everything and started over. 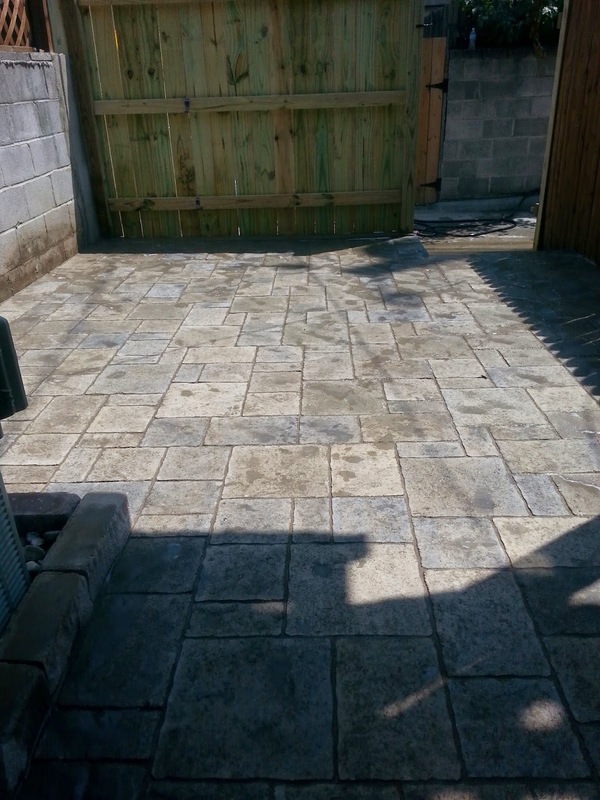 New Halifax pavers random pattern south mountain sand color, new fence, and gate. 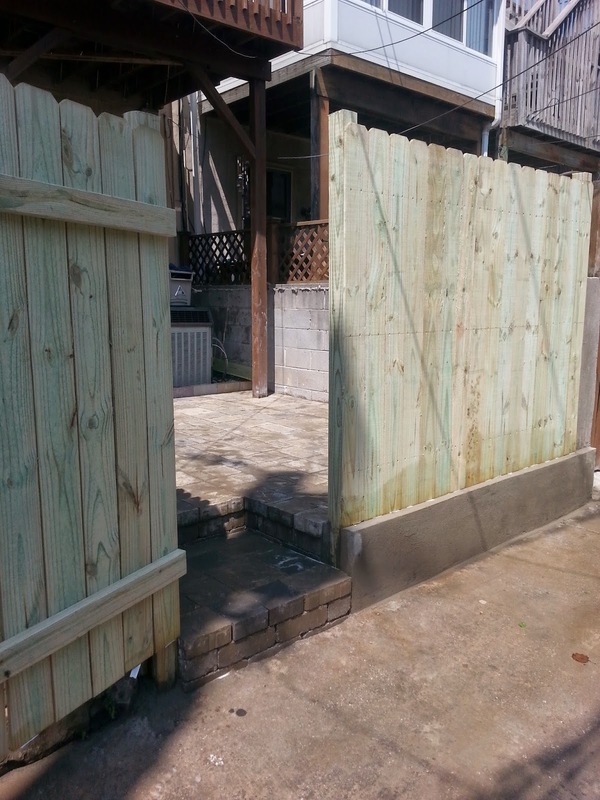 Took 2 1/2 days to build.